The Jandy Pro Series Backwash Valve features a straight-through, full-flow port design that optimizes flow and hydraulic efficiency. The Jandy Pro Series Backwash Valve features a straight-through, full-flow port design that optimizes flow and hydraulic efficiency. 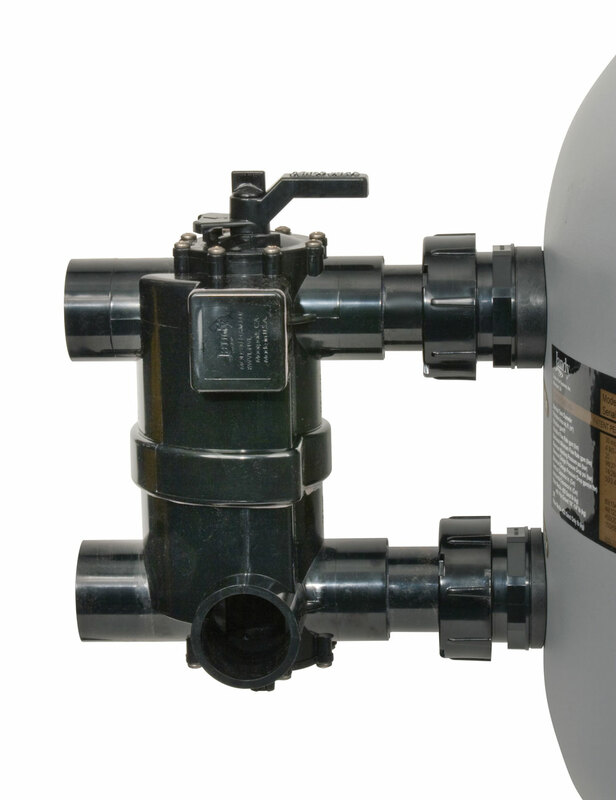 A versatile valve, it connects to the Jandy Pro Series DEV and JS Sand Filters as well as most other filter brands. Versa-Coupler allows easy installation to fit any filter from 7" up to 9" inlet/outlet port distance. With its Never Lube technology, the valve requires no service and comes with a lifetime guarantee on the diverter seal.